How much do Avalanche suites cost? 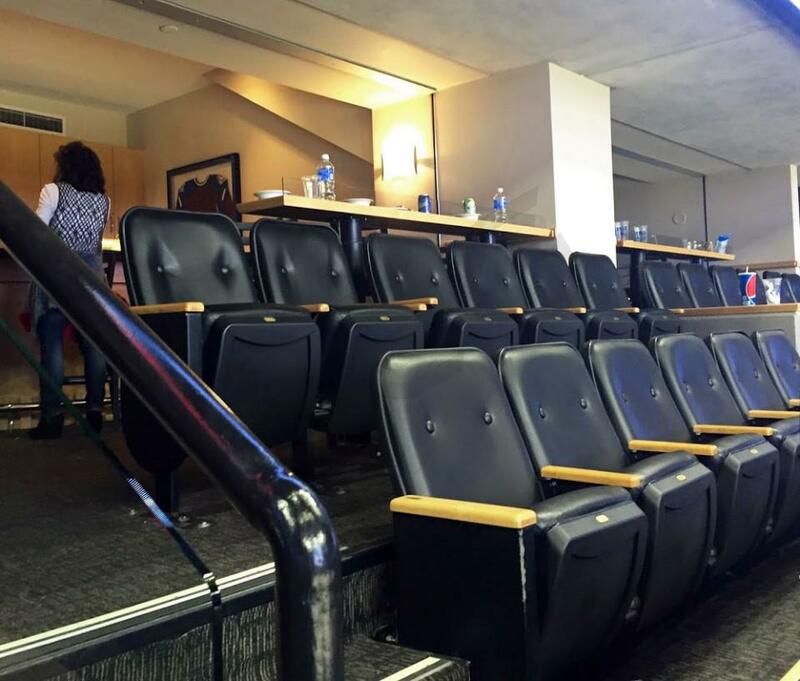 Prices typically range from $2,500 -$5,000 for Colorado Avalanche suites. Prices will vary based on day of game, opponent, and the location of the suite. 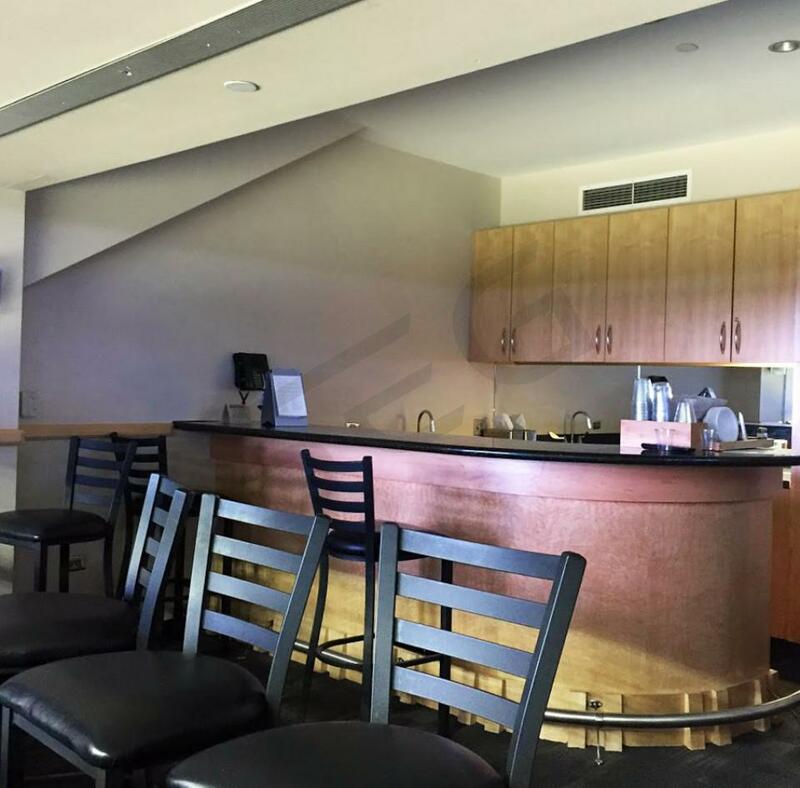 Club Level suites are the most requested suite for an Avalanche game. Luxury suite prices for concerts and other events at the Pepsi Center can vary widely based on the type of event. The good news - it's only up from here. The Colorado Avalanche suffered their worst season since relocating to Denver in 1995 under first year coach Jared Bednar. However, the Avalanche have an avid fan base that is constantly selling out the Pepsi Center coupled with a young team led by former #1 overall pick Nathan MacKinnon, so there is hope for years to come. MacKinnon led the team in points last season with 53. He has certainly lived up to the hype and is still improving and could be the key cog that propels this team back into playoff contention. Another young bright spot on the team was former first round pick Mikko Rantanen. The Finnish forward is just 20 years old, but was able to produce for the Avs last season, leading the team with 20 goals. Captain Gabriel Landeskog will look to recapture his form this season and continue to improve at the ripe age of just 24. Center Matt Duchene had another productive year, finishing with 41 points despite the team's struggles. General manager Joe Sakic made a great value sign this offseason, locking up Nail Yakupov to a 1-yr, $875k deal. This is a low risk, high reward signing, as Yakupov was the #1 overall pick from the 2012 draft and is loaded with potential; he will finally get quality ice time with quality linemates and could be primed for a breakout year. In the 2017-18 season, the Avalanche will host the Anaheim Ducks, St. Louis Blues, Chicago Blackhawks, Pittsburgh Penguins, San Jose Sharks, Los Angeles Kings, Detroit Red Wings, and more. 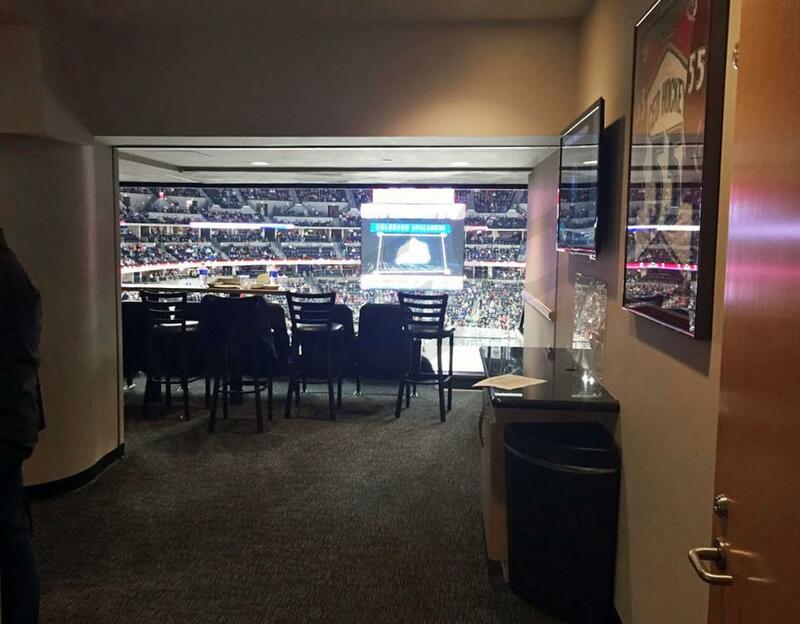 You can watch your favorite Avalanche players in a private luxury box at the Pepsi Center. Through Suite Experience Group you can rent a suite for a single Avalanche game. A suite at the Pepsi Center will grant your group early access to the suite through a private VIP entrance. A dedicated suite attendant will be on hand for anything you need during the game. Your luxury box will include a wet bar, comfortable seating in extra wide theater style seats and access to exclusive bars and restaurants located on the suite level. You will get VIP parking and choose from premium in-suite catering options. Other special events that the Pepsi Center will be hosting include Imagine Dragons, Luke Bryan, Bruno Mars, and Gabriel Iglesias. Despite getting 82 points, with a record of 39 wins and 39 losses the Colorado Avalanche missed the playoffs. The Avalanche had the talent to make the playoffs but underperformed and now expectations are much higher in 2016. This season, Colorado brings back their three top players, left winger Gabriel Landeskog and centers Matt Duchene and Nathan MacKinnon. Gabriel Landeskog, the Swedish left winger, is the Avalanche's captain despite being only 23-years old and had another excellent season in 2015 finishing with 53 total points. Matt Duchene led the Avalanche in points with 59 while scoring 30 goals and handing out 29 assists. The Canadian center, Duchene, is only 25 and has loads of potential, which he will try to parlay into a breakout year in 2016. The third key cog of the Avalanche's attack is Nathan MacKinnon, who was the first overall pick in 2013. Though MacKinnon has certainly lived up to the hype, he is still improving and could have a monster year in 2016. In the offseason Avalanche legend and general manager, Joe Sakic brought in defenseman Patrick Wiercioch, defenseman Fedor Tyutin, and center Joe Colborne. Each of the newcomers should be an important piece and should compliment the existing talent well. In 2016, the Avalanche will be welcoming the Detroit Red Wings, San Jose Sharks, Boston Bruins, Philadelphia Flyers, Chicago Blackhawks, Los Angeles Kings, St. Louis Blues, Nashville Predators and Winnipeg Jets to the Pepsi Center. You can watch your favorite Avalanche players in a private luxury box at the Pepsi Center. Through Suite Experience Group you can rent a suite for a single Avalanche game. A suite at the Pepsi Center will grant your group early access to the suite through a private VIP entrance. A dedicated suite attendant will be on hand for anything you need during the game. Your luxury box will include a wet bar, comfortable seating in extra wide theater style seats and access to exclusive bars and restaurants located on the suite level. You will get VIP parking and choose from premium in-suite catering options. Other special events that the Pepsi Center will be hosting include, Def Leppard, Drake & Future, WWE: Raw & WWE: Smackdown, Tool, Five-Finger Death Punch and Stevie Nicks. The Colorado Avalanche will kick off the 2014-15 NHL season at the Pepsi Center on October 11th versus the Minnesota Wild. Despite the Avalanche being the Central Division Champions and finished with the second most points in the Western Conference, the Wild upset the Avalanche in the playoffs this past season in seven games. The Avalanche have a young and exciting squad with head coach Patrick Roy at the helm. Roy turned this team around faster than any one could expect in his first season as coach. In 2014-15, the Avalanche will be tough again behind team leaders Matt Duchene, Ryan O’Reilly, Nathan MacKinnon and goalie Semyon Varlamov. You can watch your favorite Avalanche players in a private luxury box at the Pepsi Center. Through Suite Experience Group you can rent a suite for a single game. An Avalanche luxury suite at the Pepsi Center will grant your group early access to the suite through a private VIP entrance. A dedicated suite attendant will be on hand for anything you need during the game. Your luxury box will include a wet bar, comfortable seating in extra wide theater style seats and access to exclusive bars and restaurants located on the suite level. You will get VIP parking and choose from premium in-suite catering options. The Colorado Avalanche are competing for the Central Division title. Head Coach Patrick Roy is in the running for Coach of the Year and has his squad in line for the playoffs in an extremely tough Western Conference. It’s hard to believe the Avalanche finished 29th overall last season. An Avalanche suite at the Pepsi Center will grant your group early access to the suite through a private VIP entrance. A dedicated suite attendant will be on hand for anything you need during the game. Your luxury box will include a wet bar, comfortable seating in extra wide theater style seats and access to exclusive bars and restaurants located on the suite level. 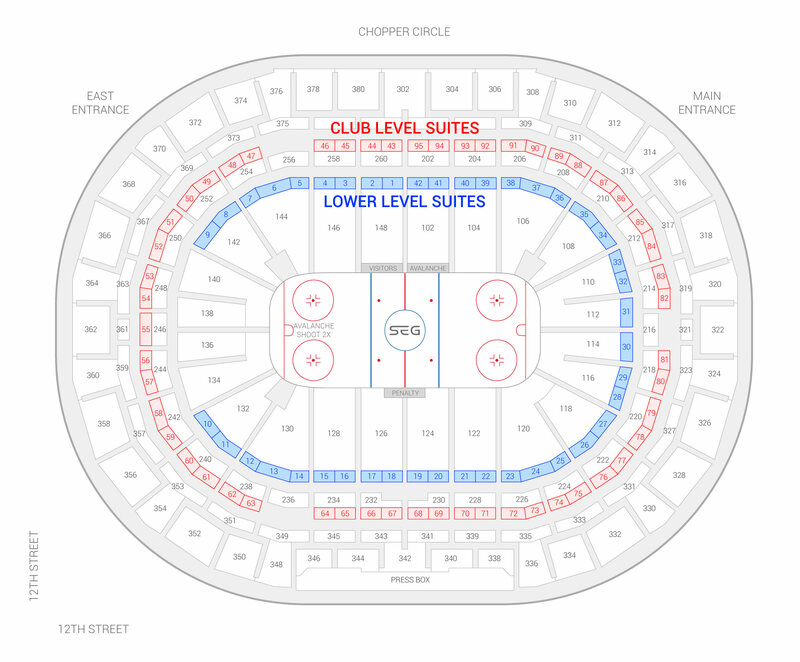 The seating chart below shows where the Colorado Avalanche suites at Pepsi Center are located.